It is easy to see why these are also known as the White Bat flower. 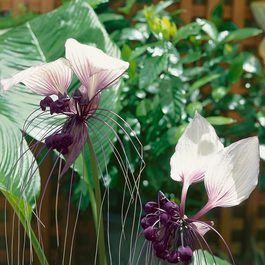 The petals are wing like in shape, brilliant white tinged with purple veins that merge into deep maroon bracts trailing whiskery filaments. 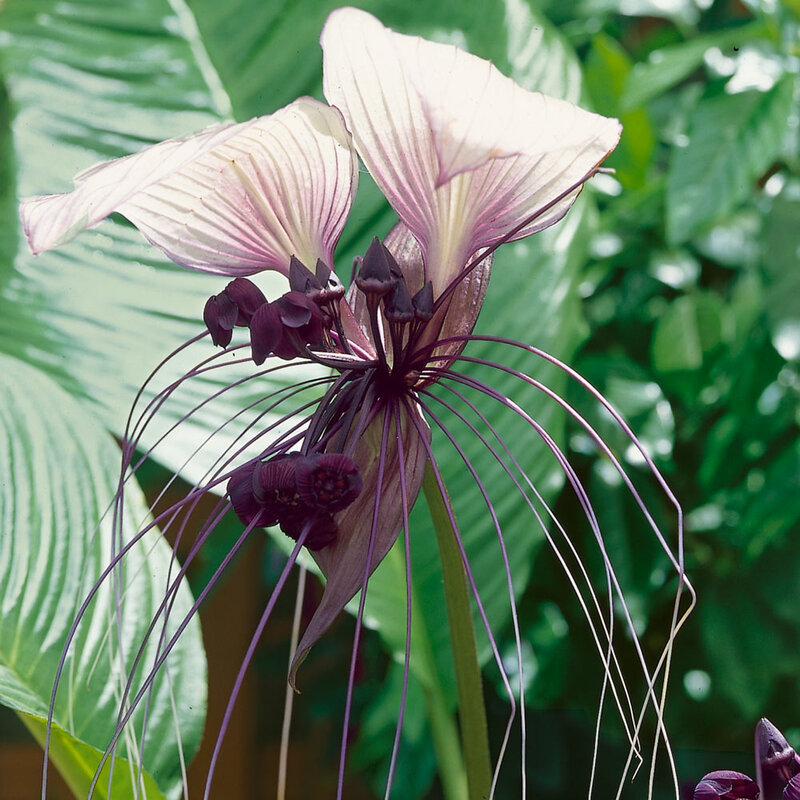 Artfully suspended on thin sturdy 60-90cm stems surrounded by upright shiny elliptical leaves. 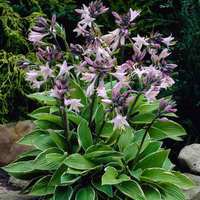 As a native of the Asian rain forest where it would be found in deep shade, this plant enjoys high humidity and will need to be well watered during the growing season. Ensure a consistent temperate and moist soil, keeping out of strong winds and direct sun. Although a challenging plant to grow, this is the easiest of the bat plants to cultivate and as anyone who has fallen in love with these alien looking flowers will tell you, they are well worth the effort. 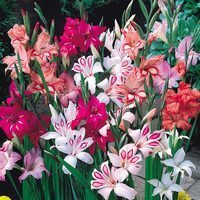 First grade loose root plants or bulbs supplied. 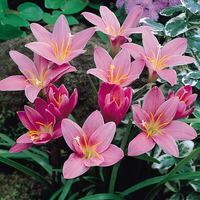 How Supplied First grade loose plants or bulbs supplied. First grade loose plants or bulbs supplied. 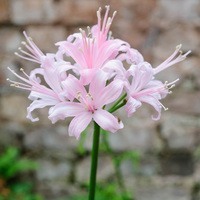 Plant on arrival in well drained, prepared soil. Water well during the growing season, thrive in semi-shade.